Angry Birds 2 and Angry Birds Evolution gear up for Super Bowl LII! Super Bowl LII is right around the corner, and pretty soon the Patriots and the Eagles will be battling it out on the gridiron. In a remote location, the birds of Angry Birds 2 and Angry Birds Evolution will be cheering on their favorite teams in their own angry way. Get all the details below. 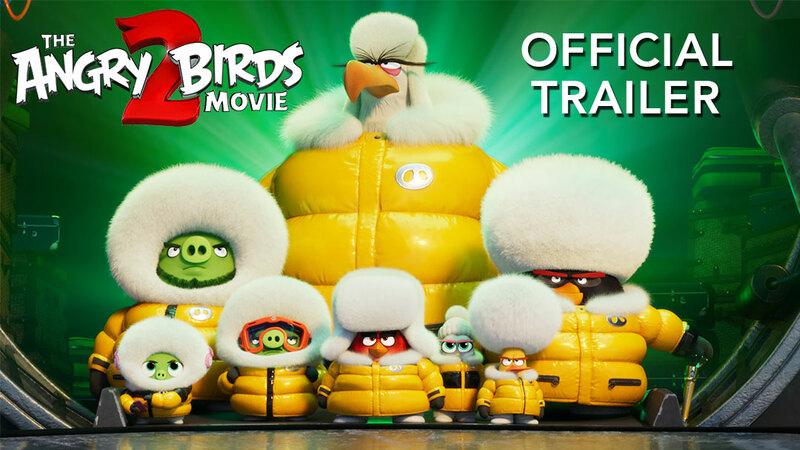 The Angry Birds 2 flock is charging into Super Bowl LII the only way they know how – head first. Of course, I’m talking about hats! Earn 7 all-new NFL themed hats (one for each of your birds) in the Tower of Fortune for a limited time. Plus, choose your favorite NFL team and your birds will sport your team’s logo when they head into battle with the pigs. Not only will they look like they’re ready to hit the field, they’ll get a nice score multiplier when wearing their new NFL gear. Last, you can’t play football without a ball, and the birds are graciously donating hundreds of footballs to the pigs in the form of a new spell. Use the new spell and outfit your birds in NFL gear now until February 4th. Download Angry Birds 2 here! The tinkering Dr. Strangebird has discovered a new form of entertainment involving intercepting transmissions with a giant dish-shaped apparatus to display live sound and video, and on Bird Island, this bizarre invention has been used solely to watch NFL football. Thanks to the good doctor’s tinkering, the birds have been tuned in to the entire NFL season! Now, as we approach Super Bowl LII, the island is in a full NFL frenzy. They’ve turned the arena into the NFL themed Mighty Metrodome, and there’s a brand new Quarterback character hatchable now. Hatch some golden eggs from now until the big game on February 4th, and you have a chance of drafting the Quarterback to your team! What’s more, the Quarterback comes outfitted in the uniform of one of the 32 NFL teams so you can root for your Super Bowl LII pick, and smack some piggies around at the same time. Download Angry Birds Evolution here! That’s not all of the NFL goodies on offer over the next few weeks so check into both games and be on the lookout for special offers and more! i don’t know how to get in touch with the admin of this game..i won the tournament, and the friends, and got ZERO coins!!!!! what is up with that??? and i play this game daily, and spend money on it…someone needs to contact me about this! I felt grief to those gamemakers!!! No sense when they should give how much feathers in the treasure chest!!! When you are playing on 600++ levels, 6 rooms per stage and you complete it and get 220 feathers, but you need 20000 feathers to go one level up!!! What nonsense is this!!!! Not even 2000 feathers will help us how can you give 200 feathers!!! Will you guys come up with some brain? Yes, Angry Birds not loading. game is no loading today, I have tried all morning!! Glad to know I’m not the only one that can’t load the game. Fix it please!!! We need to get some points or something for the game not loading for over 2 days! Boa noite ! Meu nome é Filipe sou brasileiro e gostaria de saber se o criador do jogo me autoriza de utilizar o nome do jogo Angry birds em um trabalho acadêmico de educação física? Верните видео и дополнительные 3 карты за 60 кристаллов в событие кланов, играть стало просто не возможно!!!! When I have all the gold crowns and won the game ~~ I come back the next day and they are all gone and I’m in 3rd again!!! It’s BS. And yes, it’s the same game. WTF?? This has happened several times.